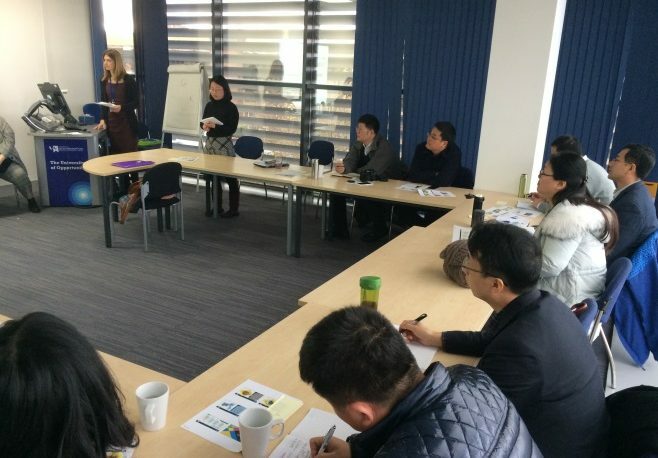 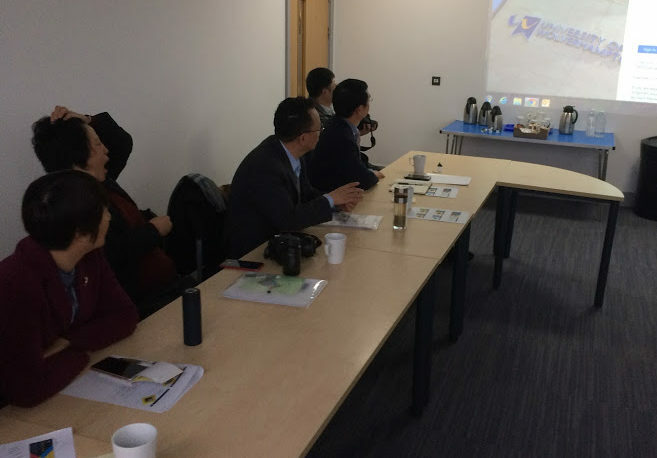 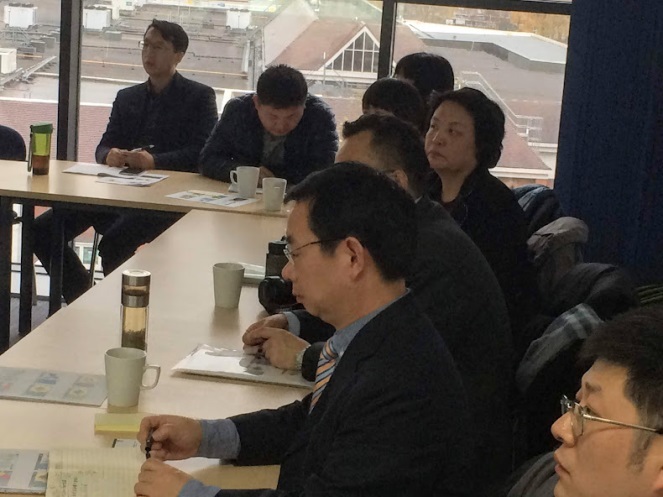 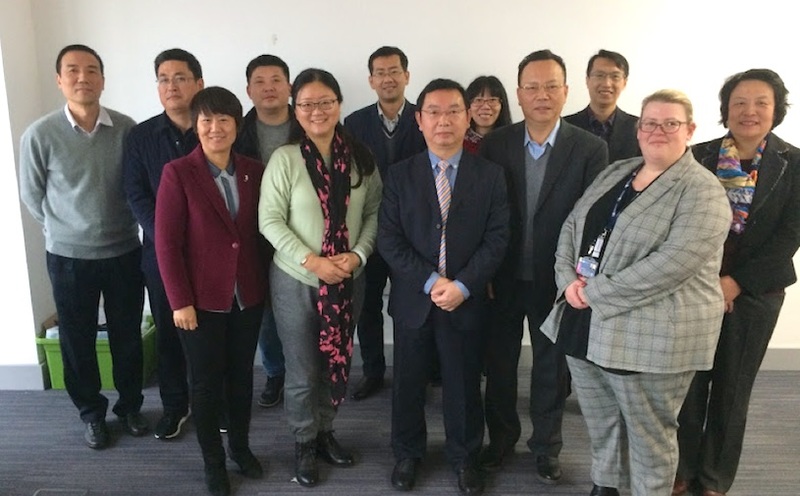 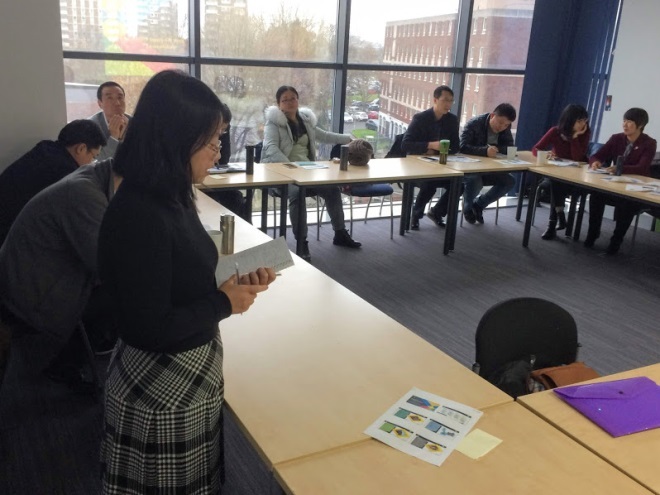 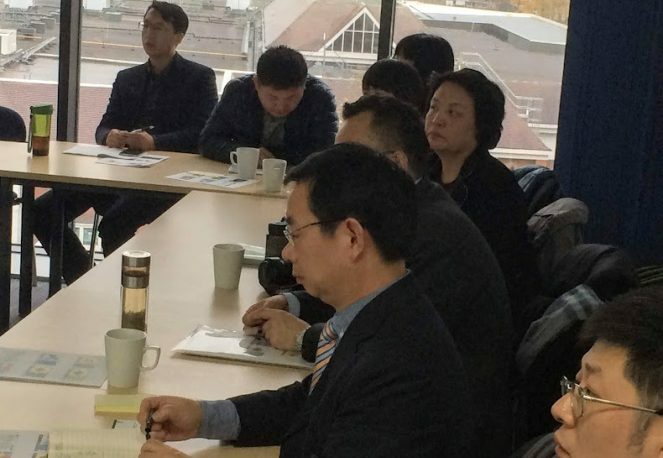 A delegation of 12 senior Human Resources staff from a variety of Public Sector institutions in China visited the University to learn more about Public Sector Human Resource Management. Facilitated by Rachel Roland in CIDT the group had presentations from a range of University Human Resources staff on topics ranging from Organisational Development through to Gender Pay Gaps and how issues related to this are being tackled. 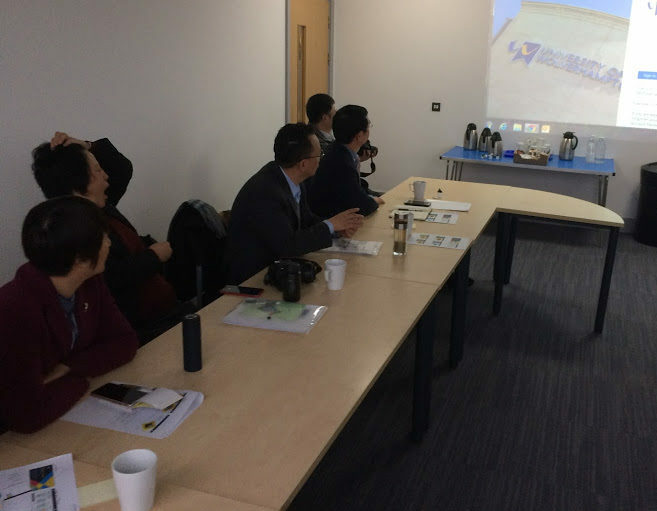 The visit was led by Lu Shihai, Director General of the Ministry of Human Resources and Social Security. 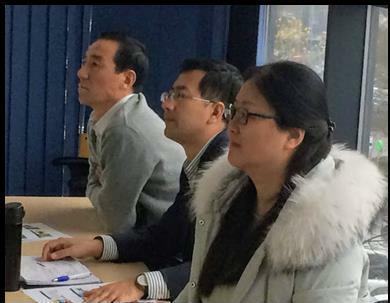 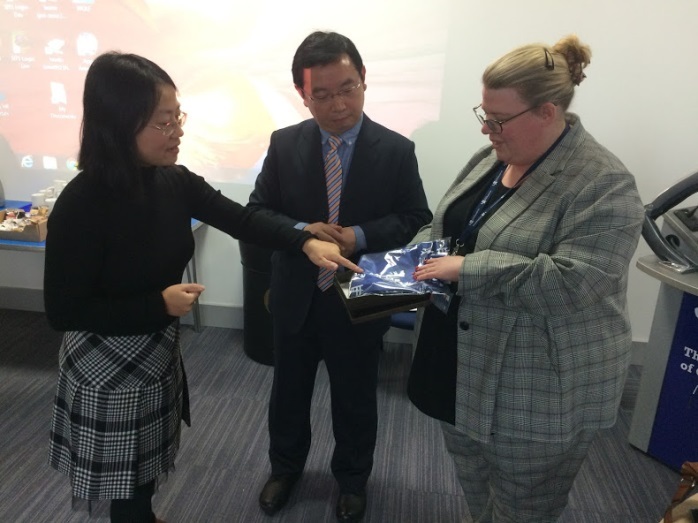 Jessie Shi was the Project Manager for UEC Cross Culture Links who organised the UK visit for the delegation. 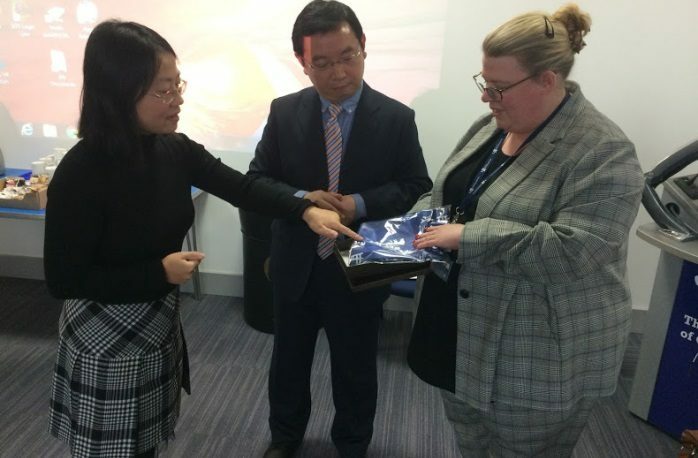 During their visit to the UK the group were also visiting a wide range of public sector organisations including research organisations, libraries, the National Health Service (NHS) and other Higher Education institutes. 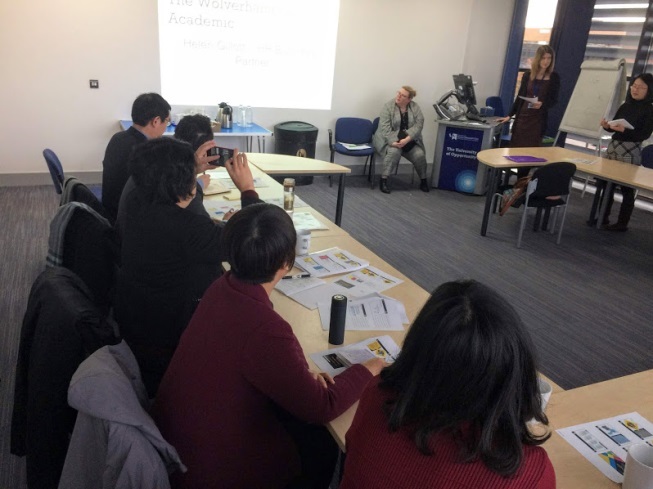 Below: Helen Gillott talking to the group about the HR processes involved with the “Wolverhampton Academic”. 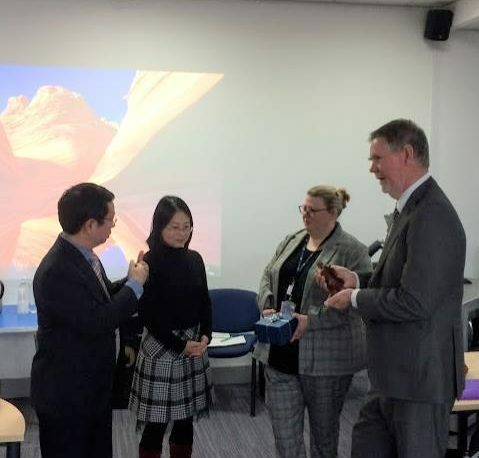 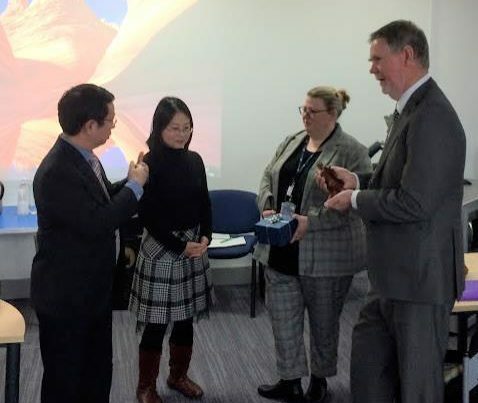 Below: Philip Dearden and Aisla Nicholls kindly being presented with gifts from Lu Shihai, Director General of the Ministry of Human Resources and Social Security on behalf of the Chinese delegation.